The most iconic view that you would always see in postcards and in magazines would be this one. It's from the Kayangan observatory deck in Coron, Palawan. Now, this place is an amazing tourist spot that is one for the books. It's all island hopping and ship wreck diving. A lot of snorkling and swimming would be involved. One of the things that would make any adventure and vacation to this wonderful set of islands perfect would be to have a wonderful place to stay at every single night. Lucky for me, I was able to book a couple of rooms from the boutique hotel, THE FUNNY LION. 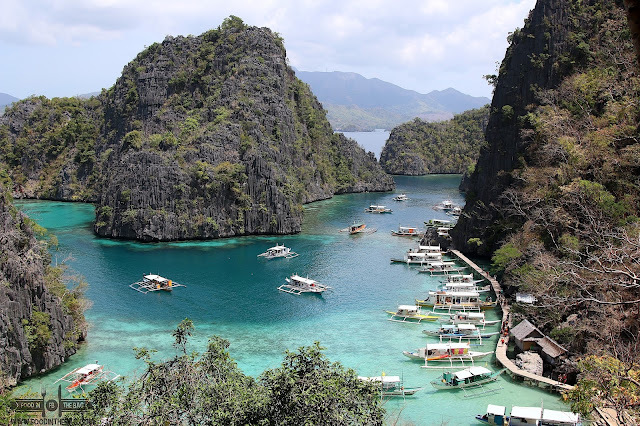 Roughly 30-45 minutes from the airport, THE FUNNY LION PALAWAN sits near the mangrove area on the outskirts of town. It's perfectly situated that it only takes 5-10 minutes via tricycle to get to the town center and that it gives a nice quiet and relaxing time for its guests. 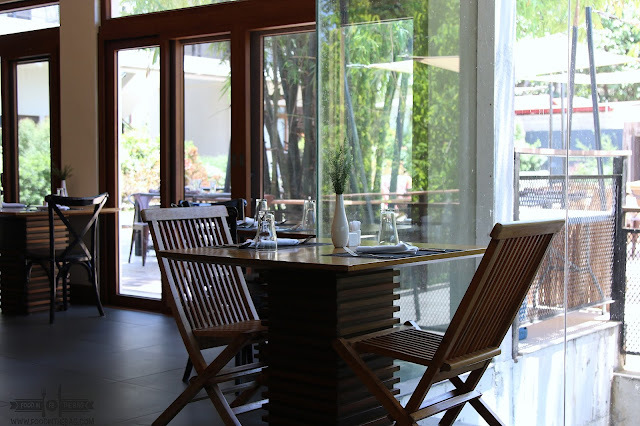 Even if the lobby is open air, you are assured that they will take care of your every needs. From check-in, they would assist you with you luggage without question and would even give you a small tour of the property. With only roughly 30+ rooms, this boutique hotel really gives importance to its guests by prioritizing their needs and wants. 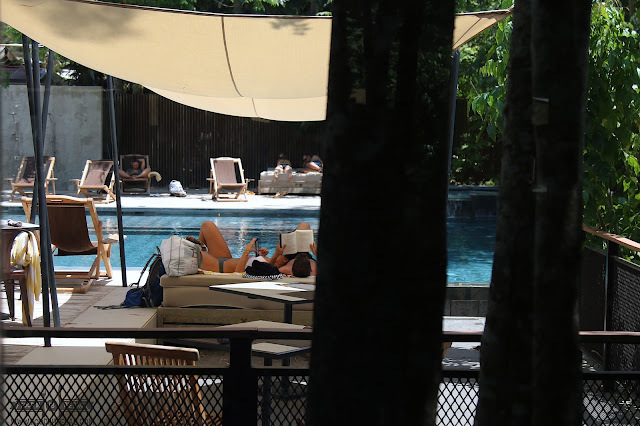 As you enter, you are greeted by the swimming pool area. It has a jacuzzi on the side, a shallow area for kids, and ledge that gives an infinity touch. On its sides are day beds and chairs perfect for sunbathing. Just beside it is their quaint in house restaurant. This is where they serve their breakfast buffet in the morning and also where guests could have complimentary snacks from 3-5pm. Their breakfast usually consists of 3-4 viands, an egg station, salads station, soup, breads, cereals, fruits, and even cold cuts. Don't forget to try out the traditional hot chocolate. 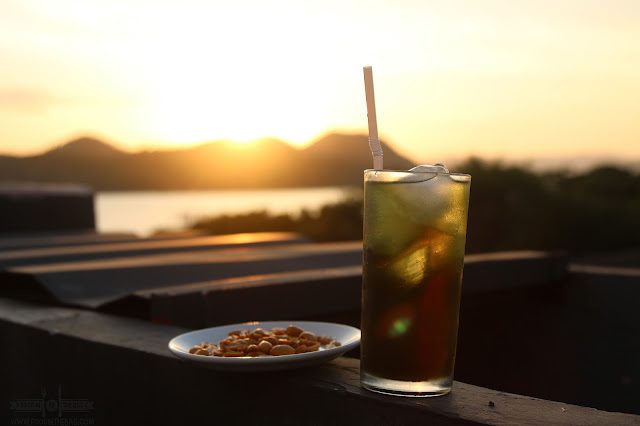 For snack time, they usually offer old school Filipino dishes like bananas and sweet potatoes with some fresh juice mix. To be honest, their food in the hotel was delicious. Granted that it may seem a bit expensive. 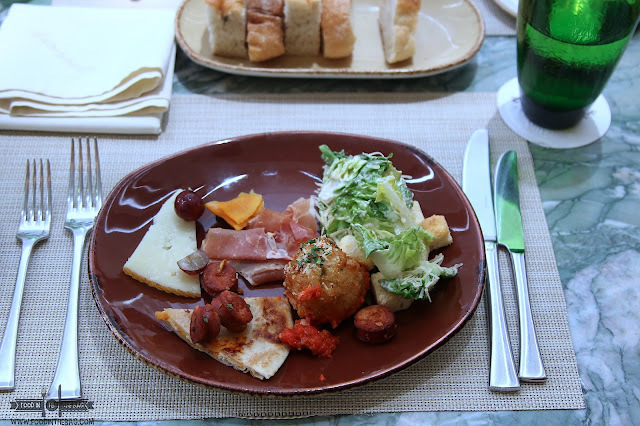 To compare it with some of the restaurants that we tried in town, my family and I agreed that we enjoyed the dishes from the hotel more. 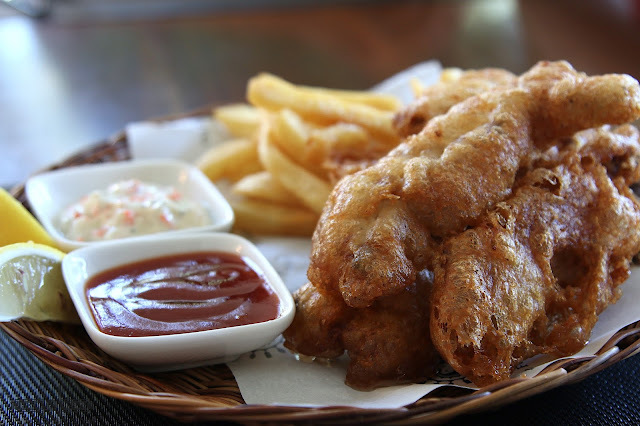 Please don't forget to try out their squid rings and other dishes. 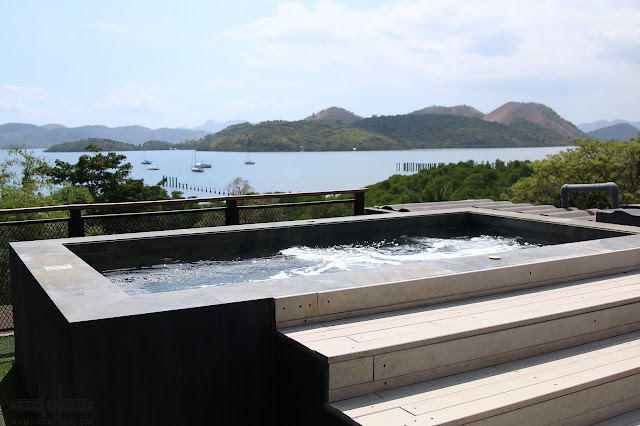 The 4th floor offers a view of the different islands near Busuanga. Here, they also have a couple of jacuzzis over looking the bay. The menu for this rooftop bar is different from their restaurant down stairs. They offer a list of bar chows that really works. Try their small pizzas and even their special snacks. Also, you may want to have a go at their version of a BOODLE FIGHT. 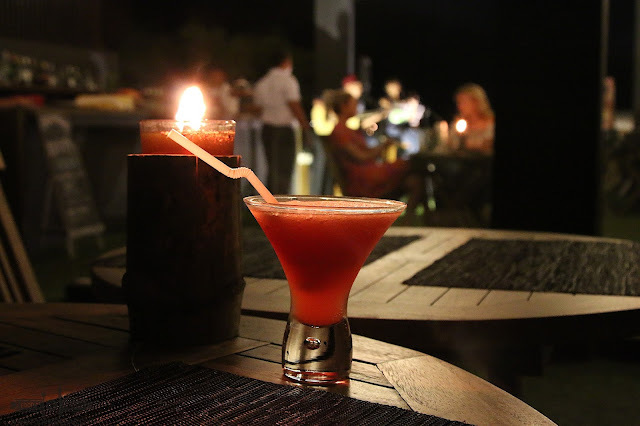 You could go for their happy hour promo from 4pm to 7pm while reading a book and relaxing in a jacuzzi while waiting for the sunset. During Saturdays, they have a bbq buffet here, plus they also have a band playing twice a week. When we checked in, we were pleasantly surprised with all the gifts we received. We were given a couple of bandanas and even a bag. There's even a turn down service every night. If you're lucky enough to stay at a PRIDE ROOM, you are given a veranda or a lanai for extra space. Usually, CUB ROOMS are perfect as there is a provision for a pullout bed. Furthermore, you need not worry about your wet clothes, there are free spaces outside your rooms hang them dry. At the FUNNY LION, they're all for sustainability and lessening thrash. AS such, they offer water in a glass bottle. The shampoos are in refillable containers as well. I also liked the fact that they have a welcome fruit tray and also drinks that are replenished daily. 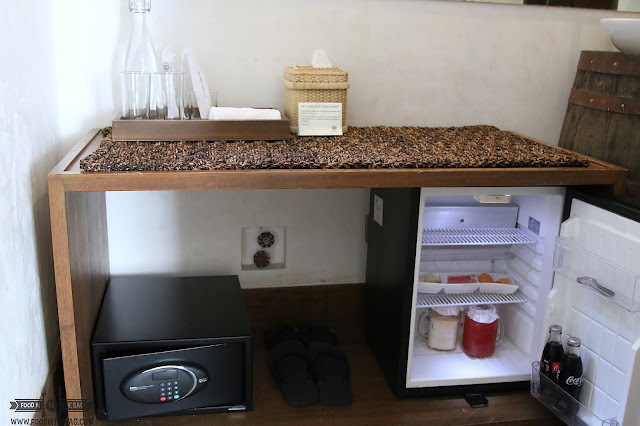 You see, this mini-bar is part of the amount you pay for your stay. The FUNNY LION knows how to take care of their guests. Aside from having an in-house massage service, they also go above and beyond. Guests are called in their rooms when their tour van arrives. Plus, they also offer different activities through their partner tour operators. If you will be going for the private and exclusive tours, you may bill it to your room and pay for it when you check out. If it's a joiner, you would need to pay for it in cash. If there was one thing I didn't like, it would be the internet connection and the phone signal. According to the manager, the internet connection was down because of on-going upgrades being done by the telecoms. As for the phone signal, it's available in some parts of the property. 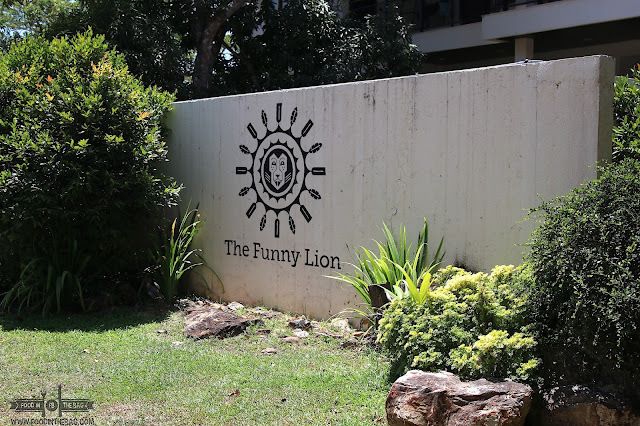 Overall, I enjoyed my stay at the FUNNY LION. The staff from the front desk and the restaurant and bar were all amazing and very thoughtful. Disclaimer: Wrote this based on my experience. Paid for our stay and our meal.